Elizabeth Locke earring charms in hand-hammered 19-karat yellow gold. 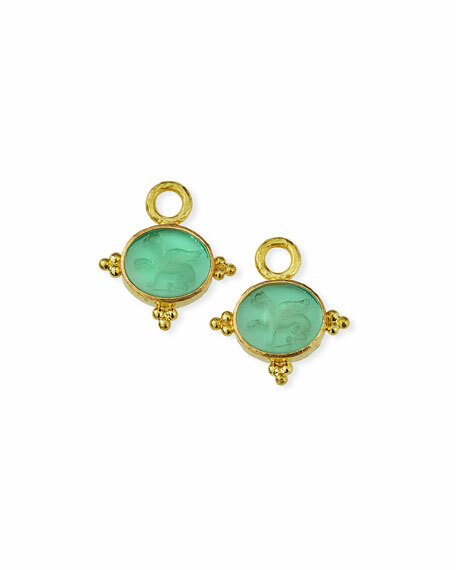 Nile Venetian glass ovals with "Grifo" intaglio; mother-of-pearl backing. Rounded gold triads detail base and sides of drops.